A rapidly increasing number of insurers is standardizing on Namirial Digital Transaction Management solutions, replacing previously rolled out solutions with limited capabilities. Customers benefit of faster coverage confirmation, policy adjustments and claims processing. Insurers running Namirial solutions accelerated their customer onboarding and contracting processes, reduced their acquisition cost, improved conversion rate and significantly enhanced customer satisfaction. While an increasing number of consumers is confident to research and buy basic insurance 100% online, in-person agent consultations are still first choice for life insurance applications. Namirial is supporting both face-to-face engagements and remote signing scenarios with a broad range of electronic signature types, allowing all stakeholders to sign legally binding anytime, anywhere on any device. 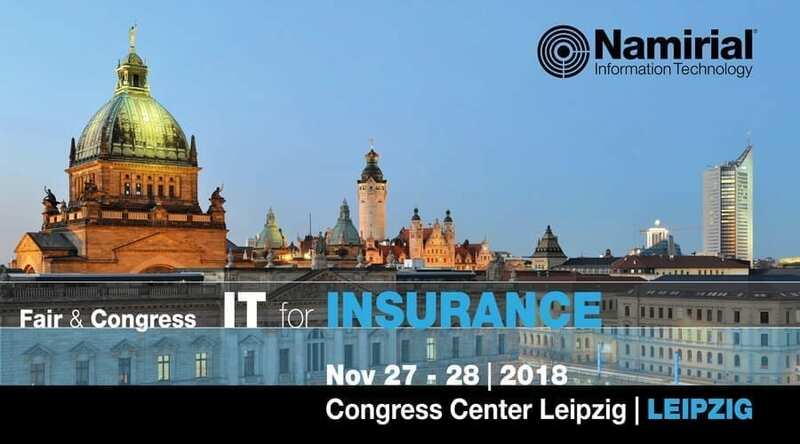 At fair and congress „IT for Insurance“ the Namirial team is providing individual consultation on designing compelling omni-channel signing experiences fulfilling all compliance requirements, outlined for example in EU Regulation on electronic identities and signatures (eIDAS) and Anti-Money Laundering Directives (AMLD).